The LOC of Asaba 2018 Athletics Championship is targeting to beat a feat achieved in 2013. The Local Organising Committee of the Asaba 2018 Africa Senior Athletics Championships is aiming a better edition than previous ones. 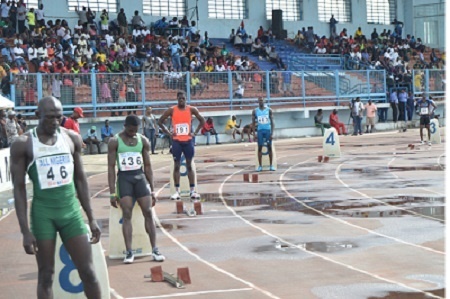 LOC chairman Solomon Ogba is assuring lovers of athletics that the people and government of Delta State will beat their own record set in 2013 when they hosted the inaugural African Youth Athletics Championships (AYAC) which was adjudged the best. “When we hosted AYAC, it was adjudged the best ever by CAA officials and other athletics buffs. We shall do the same with the Asaba 2018 Championships. From football to athletics, Delta State is used to hosting the world and we have competent managers who have observed and worked at the highest levels of sports organization from the Olympics Games to IAAF World Championships, Commonwealth Games and others. Ogba, who is also the President of the Bobsled & Skeleton Federation of Nigeria, said the LOC will give Team Nigeria all the assistance they need so that the country can host and win. The LOC Chairman also revealed that new members will be inducted into the CAA Hall of Fame in Asaba. “Beyond the championships proper, Asaba 2018 will be a celebration of athletics as the who is who in athletics worldwide will be in Asaba to celebrate our sports in Delta State,” said Ogba.